Learn Proper Long Term Egg Storage: No Freezer Burn! No Dehydration! With the abundant salmon runs that have invaded the Pacific Northwest this summer and fall many of us have been fortunate to stockpile fresh roe for future outings. Whether it was my Slammin’ Salmon Guide Service’s All Things Pautzke Egg Cure or one of the dozens of other FireBlogs! 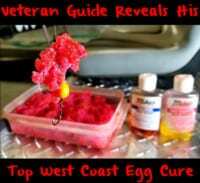 our pro staff has written on how to cure eggs this year, there’s a ton of our great curing recipes out there. If you followed them you’re eggs have a great scent, color and texture, and you have a gorgeous batch of fresh eggs that are sure to help your next adventure be even better than the trip before. Meanwhile, what are you to do if you’re not going to get out for a few weeks, months or until next season? Or if you’re like me and you have so many eggs that you must do something to save them until needed. It’s important to properly store your perfectly cured eggs so that they are ready to fish when you are. Proper storage is essential to ensure that well cured, fresh roe retains its moisture, color, scent and freshness (even in a frozen state). There are several ways to obtain your desired results. On the other hand, after years of curing fresh roe I’ve found the following method to be my easiest, fastest and most consistent method to extending the life of cured eggs. *If you don’t start with a quality product you will not achieve the desired results. *I normally use plastic containers from the kitchen (butter tubs, sour cream containers, ect.) You can also buy the disposable containers and lids at the store if you want to be fancy. Also, make sure and use a size of container for the amount of eggs you would normally use. This keeps you from having more than you will use or not enough. Per my All Things Pautzke Egg Cure recipe, which can be found here, remove your cured roe from the fridge. This is the point where you transfer the cured eggs to a long-term storage container as explained above. Make sure to include all the juices from the cured eggs. Pending on how you cured your eggs or what type of cure you used you may not have juices. For example, if you used BorX O Fire you eggs won’t have juice. In that case simply pack them in the container. Otherwise, pack the cured eggs with the extra juice into whatever container you’re using. It’s important to pack them firmly into your container, trying to avoid any empty areas or air pockets. This is to keep from getting freezer burn spots or dehydration. The juice also helps to keep this from happening. Fill the container 3/4 full to allow for expansion while freezing. Grab the bottle of Red Pautzke’s Nectar and squirt enough on top of the eggs to cover them completely. If you have packed them correctly, without air pockets or voids, this last step with create an airtight seal of frozen egg juice that is protecting the eggs and adding even more juice. Now, write on the lid what species of fish the eggs are from, the color, scent, and date so you know what they are when you go to use them again. Finally, place the lid on the container and put in the freezer. I have eggs I’m using right now from three years ago and catching fish on them. Exact shelf life is unknown, but I have fished eggs up to three years old and they are gorgeous and fishing great. 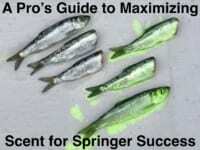 Hope this helps you preserve your fresh roe and enjoy catching even more fish with more eggs to cure up. *Special Note: If you are using this method on BorX O Fire cured eggs you’ll want to sprinkle more BorX O Fire on them after thawing in order to dry them out. Otherwise, the Nectar you used to preserve the eggs will make them wet and juicy, rather than gummy like eggs cured with a borax based cure.